TITANIC: History's Most Famous Ship: March 31, 1909: Construction Begins: Titanic's Keel Plate is Laid. 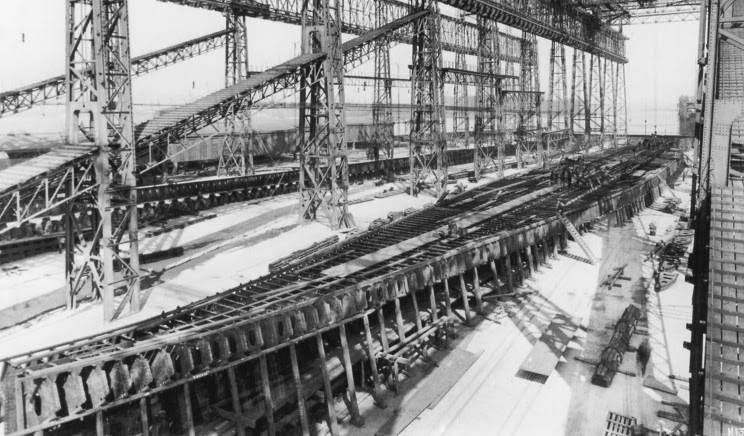 March 31, 1909: Construction Begins: Titanic's Keel Plate is Laid. On March 31, 1909, the ship workers lay Titanic's first keel plate next to Olympic. 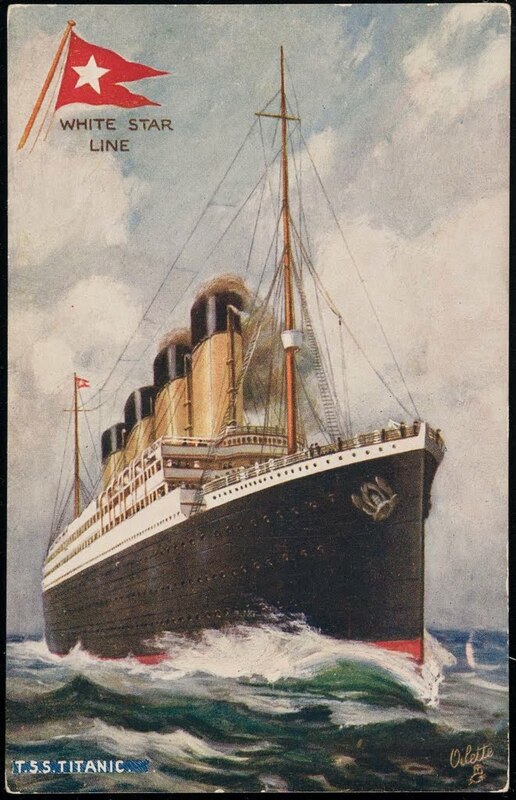 As the construction continues, the White Star Line prepares the world for the first ocean liners to exceed 40,000 tons. These ships will have no end of elegant detail.